National Night Out/Monday Night Concert in German Park July 30 from 5:30 p.m. until dusk. Musical entertainment by the Schell’s Hobo Band, children’s games and activities, puppet wagon, Rec on the Go, food and more! This program sponsored by the New Ulm Police Department, Park and Rec and Fire Departments, along with the United Way. July is National Park and Rec month! We are challenging individuals to submit a digital photo discovering one of the wonderful amenities our park and rec system offers. Throughout the month of July, there are weekly contests with a winner (chamber dollars) chosen for each category. Last week’s winner was Congratulations to our Week #2 Photo Contest winner for Best Action Shot, Sara Gostonczik for her sliding into home base photo taken at Harman Park! The final winner of the contest, Nature/Structure Shot will be announced this week! Thank you to all who participated in the weekly contests! Munchkin Mayhem is a camp for ages 3 to 5 that uses structured activities and unstructured play through movement, games, activities and much more. Program meets at the Harman Park Shelter Wednesdays Aug. 1 through 22 from 5:45-6:30 p.m. Register online or the Rec Center. Final Explorer Camps for the summer will be Alternative Sports and Games July 31 through Aug. 2 and The Best of the Best Aug. 7 through 9. Register online or at the Rec Center. Wow! Zone in Mankato Field Trip is Friday, Aug. 10. Bus will leave from the Rec Center at 12 and return at 4 p.m. Cost is $20 Resident or $22/Non-Resident and includes transportation and admission for bowling, mini golf and laser tag, all in one place for a fun-filled afternoon! Register online or the Rec Center. Summer Day of Play Thursday, Aug. 16 at German Park. Fun starts at 5:30 p.m. with inflatables, Rec on the Go and more, followed by outdoor movie CoCo at approximately 8:30 p.m. Join us for a variety of activities in a fun, festive atmosphere! This event is FREE and open to the public, thanks to the generous donation of our sponsors! Water Access at Minnecon Park is closed until the water recedes. The flood waters have gone down, but still has to go down more. We will keep you posted. Look for our FREE Rec On the Go program traveling to a location near you to play games, sports, crafts and other fun activities! Healthy Snacks will be provided for those 18 and under. Visit our website for dates and locations. This week, we will be making a special stop at National Night Out in German Park! 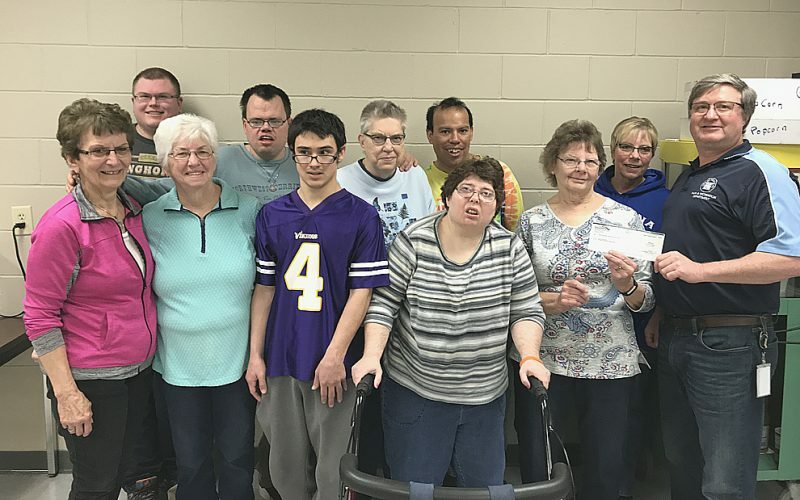 This program is possible through partnerships with Allina Health, ISD 88, Pro Kinship for Kids and the City of New Ulm Public Library and Park and Rec Departments. Enjoy a full moon view over Hermann on Friday, Aug. 25. We are extending our hours to 10 p.m. to take in this very unique and picturesque view of the MN River Valley under moonlight! Regular admission applies. Outdoor Pickleball courts at Lincoln park offer open play Mondays, Wednesdays, and Fridays from 10 a.m. to 12 p.m. and Tuesday and Thursday evenings from 6-8 p.m. There is a lock box in Lincoln Park with equipment to use. Please call 507-359-8347 for the code to access. Courts will be closed Aug. 6-9 from 6-7:30 p.m. for a youth tennis camp! Information on Fees & Hours of Facility Operation: visit us on the web at: www.newulmmn.gov Email parkandrec@newulmmn.gov or cherylk@newulmmn.gov or call 359-8347. Rec Center, 122 South Garden St., hours: Monday-Friday 5 a.m.-9:30 p.m., Saturday 7 a.m.-6 p.m., Sunday 9 a.m.-6 p.m. Civic Center is located at 1212 N Franklin St. Community Center is located at 600 N German St.